Involved in an Accident? Executive Towing Services Can Help. Accidents are stressful at the best of times and the last thing anyone wants to deal with, even the most mundane fender bender can be absolutely unnerving, leaving you stranded on the road and unsure of what your options are. If you’ve been involved in an accident in Perth, and your vehicle is no longer roadworthy, Executive Towing Services can help. We offer towing in Perth across the entire metro area, from Joondalup, south to Canning Vale and east to Midland and beyond. Don’t worry about where your vehicle is currently located we can assist, you don’t have to be concerned about how you’re going to transport it to the nearest, reliable panel and paint shop that’s where we come in. We understand that you have enough to worry about when an accident has occurred. That’s why the Executive Towing Services team are committed to make the relocation of your vehicle as painless and straightforward as possible. It doesn’t matter what type of vehicle you’re driving or what type of accident you’ve been involved in. 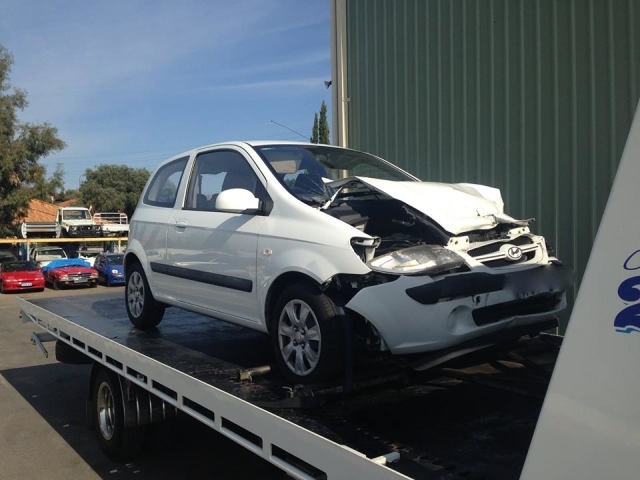 Executive Towing Services has a tow truck in Perth to respond to your needs. With our fleet of tow trucks, we can quickly and safely recover your vehicle and tow it to a smash repair shop, holding yard or assessment centre. Being involved in an accident is a headache no matter what type of vehicle you drive. Even the most minor collision is going to be a major disruption to your day – especially if there is somewhere you need to be. Our team of drivers are experienced to deal with any type of vehicle accident situation and tow your vehicle off the road and away to the closest smash repair shop. Our purpose-built tilt tray tow trucks are fitted with winches and all the necessary equipment to help get your car safely to where you need to go asap. Whether it is a minor or major accident we’re here to make the process as painless as possible. If you’ve been in an accident, we can safely and efficiently tow your vehicle to where it needs to be. We’re accustomed to dealing with a wide range of vehicle insurers. If you have full comprehensive motor insurance, then you won’t have any out of pocket expenses for any towing, recovery and or storage as we can bill your insurance company directly. How’s that for peace of mind? Contact us now by calling 0410 471 056.